September 10, 2018 Updated because of the totally legit phone pic of a ten-core 2800X. Totally legit. 100%. Definitely. 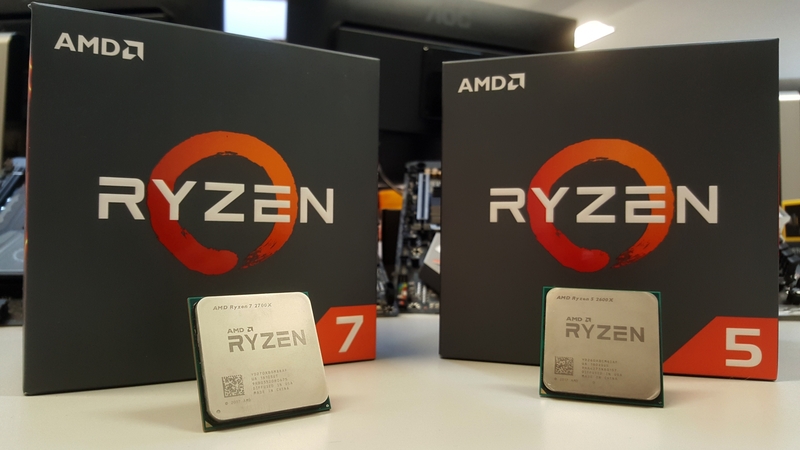 At a pre-Ryzen 2 launch event Jim Anderson was asked why AMD had decided to use the Ryzen 7 2700X as the top model released in the first wave of Pinnacle Ridge processors. “We felt like, with the 2700X and 2700 at the performance and price points, we had that space covered,” explains Anderson. “We just felt that with those two SKUs we had it sufficiently covered where we wanted to position the product.” And AMD has got that space covered well, with the 2700X making it essentially impossible to recommend the competing Core i7 8700K. For now. That’s not necessarily going to be the case when Intel launches its own mainstream octa-core CPU in the coming months. So when, in the future, AMD feels it doesn’t have that space covered it could well have a Ryzen 7 2800X ready to roll in and give Intel another headache. And what could that be? Well, there’s a definitely-not-fake Cinebench picture up on El Chapuzas Informatico which shows a Ryzen 7 2800X running at 4GHz and sporting ten cores and 20 threads. Okay, it’s a phone pic so it is definitely fake. Also, rocking ten cores would require AMD to add an entire quad-core Zen CCX to the 2800X package and lop two of its cores off to hit the necessary spec. 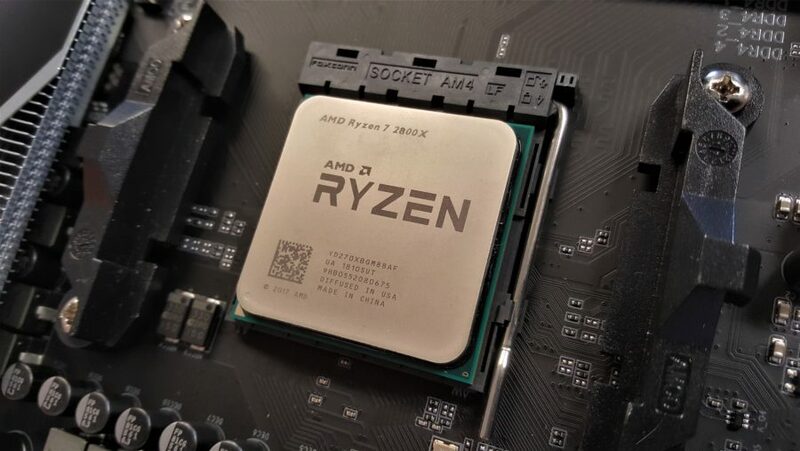 Last year the Ryzen 7 1800X lead the line as the very top-end of the new AMD eight-core processor range, but for this latest generation of chips there’s nothing above the new Ryzen 2700X. Realistically if there is going to be a 2800X it will just be a high-clocked octacore. The Ryzen 7 2700X itself is an eight-core, 16-thread processor, with a 3.7GHz base clockspeed and a peak 4.3GHz boost clock. It’s also rocking a mighty 105W TDP to be able to get up to those frequency heights. The old 1800X, on the other hand, tapped out at 4GHz, and struggled to offer much more in the overclocking stakes. So, in a way, you can understand why AMD stopped at the 2700X. It’s much faster than the old peak Ryzen, and delivers better performance for less than the original’s price. Though AMD could have easily just called that chip the 2800X and no-one would have flapped an eyelid. What gives then? Well, there’s surely an AMD vs. Intel CPU-based bun-fight a-brewing. 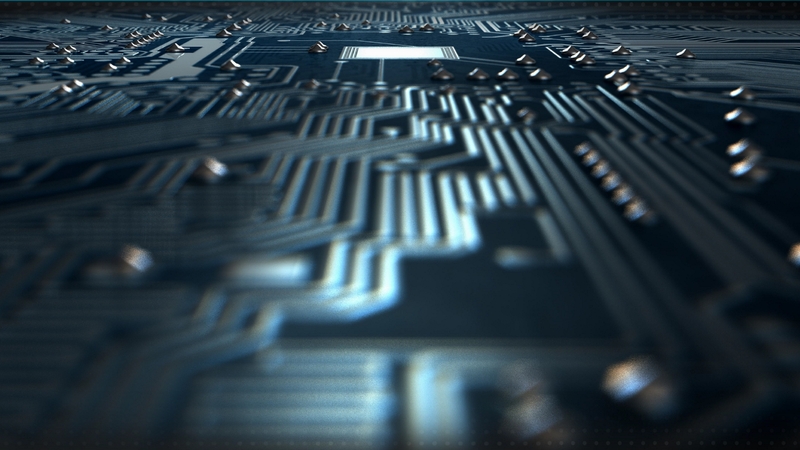 After the Intel reaction to Ryzen last year, where Intel started panic-announcing more and more cores than we’ve had chicken dinners, it’s no surprise AMD is keeping something back in reserve for the inevitable backlash. At the moment all Intel has got to really compete are the Core i7 8700K, Core i5 8600K, and Core i5 8400 in the Intel Coffee Lake range, and they only go up to six cores, with no eight-core chips available until you get up into expensive Skylake-X territory. I said at the launch of the second-gen Ryzen chips that if there wasn’t a mainstream 14nm Intel eight-core popping up before the end of 2018 I’d eat an Optane SSD stick and, thankfully for my stomach, the new Coffee Lake refresh is coming with two eight-core CPUs. The Core i9 9900K and i7 9700K have appeared in separate leaks over the last few days, and with their full names being identified by the different benchmarks – GeekBench and SiSoft Sandra – that surely means their launch isn’t far away now. The Ryzen 7 2800X must be just parked in orbit above us, waiting to see what Intel does with the necessary octacore CPUs needed to encourage anyone to buy a Z390 motherboard. Seriously, no-one’s going to touch that thing if all they can say about it is that it’s got native USB 3.1 support. 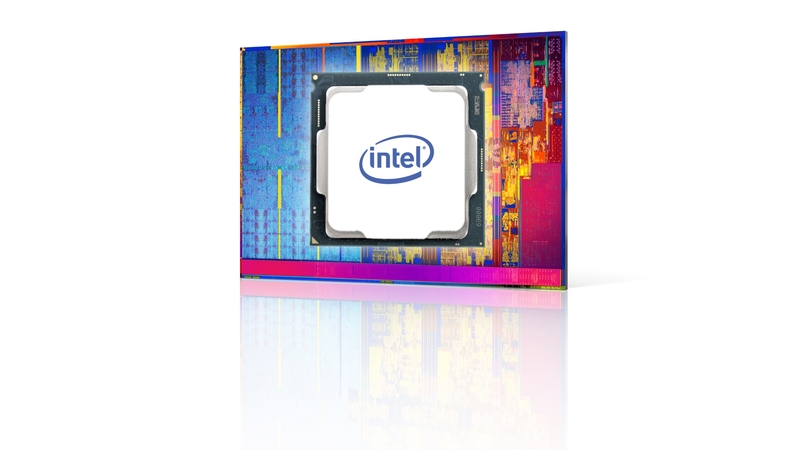 And honestly, right now that’s all anyone can say about the next high-end Intel chipset. But if it can offer exclusive support (whether legitimately or artificially) for an eight-core Coffee Lake Core i9, with future support for the 9th Gen Intel processors as has been mooted, then it might just be able to carve out a little niche for itself. Word on the street – there’s a little shoeshine I go to in Santa Clara who gives me the goss – is that the Z370 chipset was only meant to be a six-month stop gap measure to be able to get the early Coffee Lake processors out the door last year. The Z390 was then meant to arrive at the same time as the H370 and B360 boards this year… because then all the updated LGA 1151 boards could ‘boast’ native USB 3.1. Apparently that’s important for some reason. It sounds like the motherboard makers didn’t take kindly to the thought of the Z370 only having a six month shelf-life and Intel pushed the Z390 release way back. So, with the Z390 arriving at the end of the year, along with an eight-core, 16-thread Core i9 K-series CPU, I wouldn’t expect AMD to bother landing the Ryzen 7 2800X until then. To be honest, with the specs and performance of the 2700X, that’s not really been be a problem.